Beldam Releases New Song "Vial of Silence" and Reveals Album Details for "Pasung"
Doom/sludge titans Beldam have released a new song titled "Vial of Silence", off their upcoming sophomore album "Pasung", coming January 26, 2018 on CD and digital formats via Horror Pain Gore Death Productions. "Pasung", is Beldam's second release on Horror Pain Gore Death Productions and their first with new vocalist/lyricist Randall Guidry. The band recently relocated to Seattle, continuing their vision to play skull-crushing, soul-wrenching, paint-peeling Sludge with blackened touches. 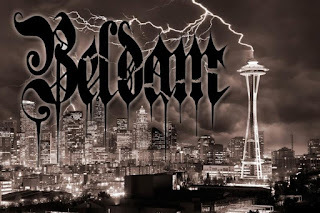 With influences ranging from Sleep, EyeHateGod, Graves At Sea, The Melvins and Black Sabbath, Beldam combines a massive wall of guitars, thickened bass tones, bone-rattling drums and harsh vocals featuring lyrics building on the themes of death and despair. "Pasung", clocks in at 50 minutes of pure, unadulterated American Sludge. "Pasung", was recorded at The Bomb Shelter in Nashville, TN, April 5-7, with additional tracking on August 31 and September 1, 2017. The album was engineered and mastered by Drew Carroll who recorded Beldam's original 5-song demo in 2015. All guitars and bass on the recording were performed by Grahm Reynolds with the exception of "One from the Stable." Cullen Wade handled the drums on the entire record. "Pasung", represents the truest Beldam. The band focused a significant amount of time on songwriting and pre-production to get the heaviest tones and thickest riffs possible. 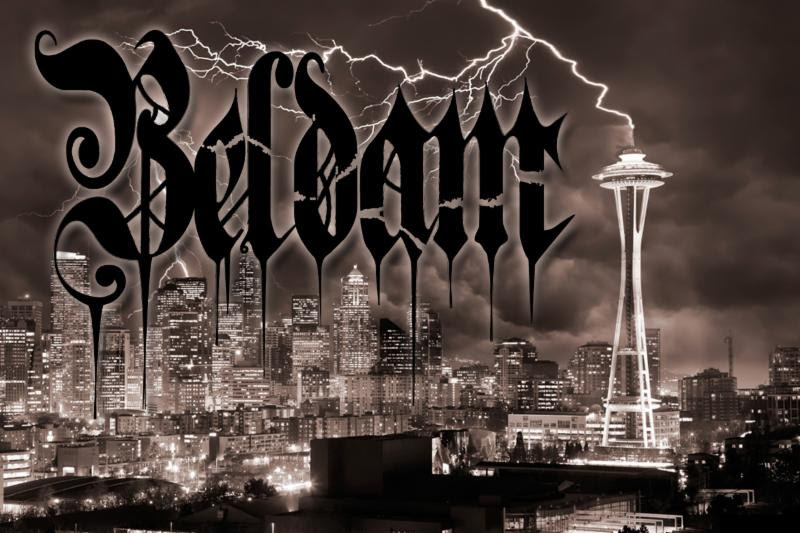 After parting ways with their original bassist and relocating to Seattle, Beldam is psyched to release "Pasung", to the masses and play as many shows as possible in its new Pacific Northwest home. RIYL: Bongzilla, Brainoil, Coffins, Conan, Crowbar, Dopethrone, Grief, High On Fire, Indian, Meth Drinker, Neurosis, Noothgrush, Om, Orange Goblin, Order Of The Owl, Pelican, Primitive Man, Pungent Stench, Rwake, Soilent Green, Sourvein, Sunn O))), Thou, Ufomammut, Weedeater and Zoroaster. Check out the new song streaming here: youtu.be/emm4kEbWsVM.